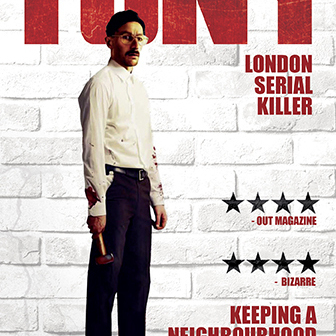 A Portrait of a London Serial Killer. Available on DVD & Blu-Ray. Gerard Johnson writes and directs this darkly comic British thriller. 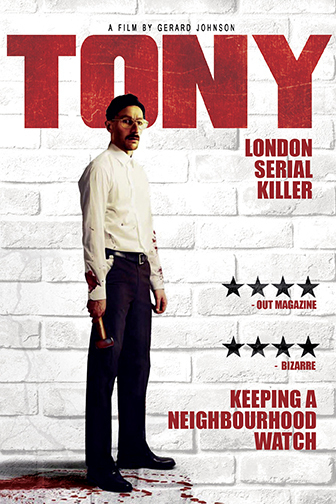 Peter Ferdinando stars as Tony, an oddball loner living in a rundown part of East London whose life centres around his unhealthy obsession with his collection of 1980s action videos. Tony's misguided attempts to carve out a social life for himself involve a series of empty interactions with drug dealers, pimps, call girls and job centre workers. When a local child goes missing, Tony's odd lifestyle comes under scrutiny, and light is shed on the dark truths behind his existence. Sleeve with double-sided artwork !